Attach 1 chocolate candy to chocolate bottom of each cookie, using decorating icing. Pipe decorating icing around base of milk chocolate candy. Place a scoop of vanilla ice cream in a shallow bowl. 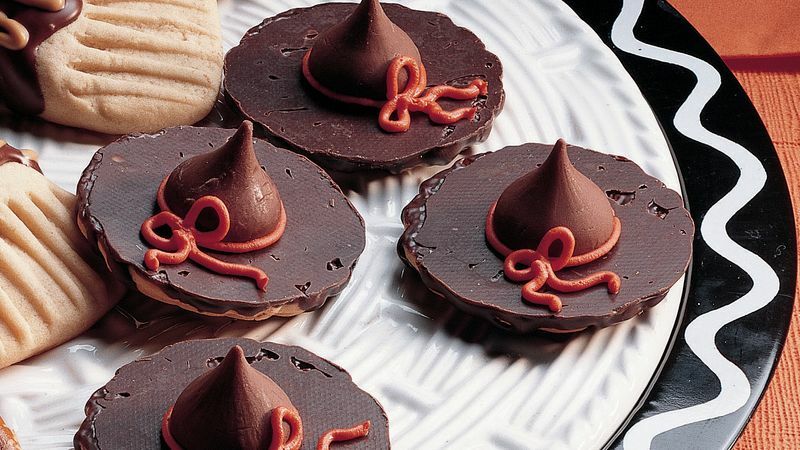 Make a face with miniature chocolate chips and decorator candies; top with a Witches' Hat. Quick, eat the witch before she melts! You can use any 1 1/2- to 2 1/2-inch chocolate or chocolate-covered cookies instead of the shortbread cookies.